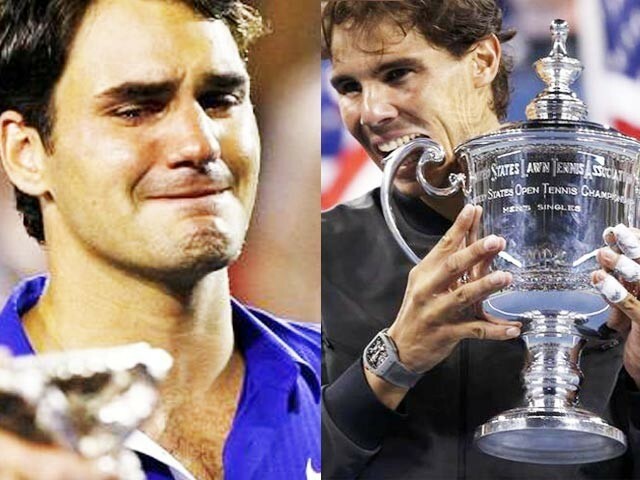 Nadal’s comeback victory in the US Open 2013 will be a threat to Federer’s survival in the game. The US Open that culminated in Rafael Nadal’s victory this past Monday was a landmark event in recent tennis history. Firstly, it provided the venue for the evident demise of the tennis god, Roger Federer, who ruled these courts for so long. And secondly, it provided a platform for Rafael Nadal, hitherto known usually as the King of Clay, to extend his mastery over hard courts in earnestness and lay his claim to the title of the Greatest of all Time (GOAT). For Federer fans (myself included), it has been a most painful experience watching the Swiss maestro lose his aura and much of the game that took him to the summit of the tennis world. Federer’s decline has been by no means sudden. The signs were there for all to see; since winning his 16th major at the 2010 Australian Open, Federer has won just one more major from a total of 15 Grand Slam appearances and made the final only twice. Compare that with his 15 major wins and 21 finals out of 28 Grand Slam appearances from 2003 to 2009 and his loss of dominance can be seen in the obvious. This can be attributed to both a dip in Federer’s game and to the rise of the troika of Nadal, Djokovic and Murray. During the period of 2010-2013, when Federer won a meagre two Grand Slams, these three combined had won the remaining 14. But despite this decline, Federer had been holding up well against his rivals. He even reclaimed the number one ranking for a few months in 2012, but then 2013 struck. It has been in this year that Federer’s fortunes took a plunge for the worst. With just one title to his name (at the low key Halle) and a dismal 1-6 record against the top 10 for the year, Federer’s fall from the uppermost echelons of tennis had been cruelly confirmed. The shock loss to Stakhovsky in the second round of Wimbledon and the consequent snapping of his legendary quarterfinals streak broke Federer’s confidence in his already ailing game and has sent it on a downward spiral ever since. The loss to Tommy Robredo in the US Open’s fourth round confirmed his fans’ worst fears. Having dropped as low as number seven recently, Federer now faces a real battle for a place in the season ending ATP World Tour Finals in London, a tournament which he used to dominate in the past. The fall of one great is the return to form of another. After suffering a knee injury during the summer of 2012 and taking a seven month long hiatus, Rafael Nadal has produced one of the most stunning comebacks in tennis history. Since his return in February, he has compiled an astonishing 60-3 win/loss record and won 10 out of the 13 tournaments contested, failing to reach the final only once (Wimbledon). But the most impressive statistic he has compiled is a perfect 22-0 record on hard courts highlighted by his triumph in New York last Monday. Although he has always been a good hard court player with wins at the US Open 2010 and Australian Open 2009, hard courts have had adverse effects on his physical game, with his knees giving him frequent trouble. Having exorcised those demons, Nadal has extended his mastery over the hard courts, confirmed particularly by his victory over Novak Djokovic, the best hard court player since the past three years, in the US Open final. With this win, Rafael Nadal has made a strong case in the GOAT debate. If he retains the physical fitness and the fiery spirit that characterise the Spaniard’s game, Federer’s record tally of 17 Grand Slams will no longer look intimidating for Nadal. However much we, the Federer fans, deny it, he has been supplanted by younger, fitter players, Nadal being foremost among them. However, it would be foolish to write Federer off, for his current slump is more mental than physical. With his confidence restored, courtesy a few match wins, Federer might still be capable of conjuring up a miracle or two, like a magical forehand from yore. Only time will tell which great assumes the throne. For now, all we can do is await for this great show to unfold! 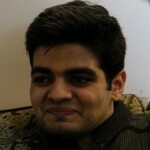 A student of medicine who is currently pursuing his studies at King Edward Medical University. The Australian Open men's singles: With such big stars, who will walk away with the cup? First off all.. You aren’t a Roger fan just pretending as a RF fan… that picture itself clearly suggests. Still there is some time to go cross 17 GS and its not so easy. GOAT status is simply not given based on his 17GS there are some other records which no one has acheived till now except Federer. 302 weeks as No.1 is not a joke. Federer is not over. A man who has won so much always has the ability to win. As for Nadal, it is disrespectful to him that only a second US open win is made to shed off his “king of clay” tag. Nadal is king of clay no doubt but he is arguably one of the best overall players in history. He has done things which even Federer has not: winning record against all top players; 4 Davis Cups; 1 single Olympic Gold; 9 consecutive years to win at least one grand slam; etc etc.